Have you ever wonder what you should get for your mother for Mother's Day? But where to get it?! 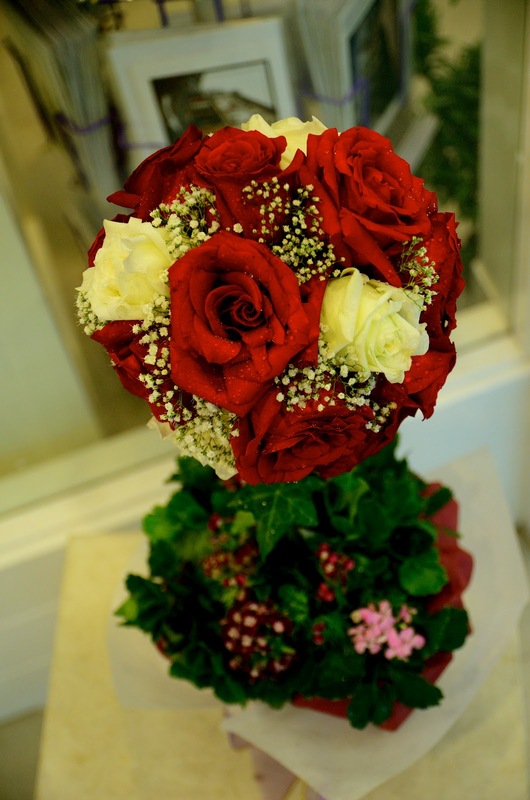 Bloom is the place where you can get superbly nice and affordable flower for your mother for Mother's Day! Look at the flowers, the way they decorate it... You bet and rest assured that the flowers you get it from there would be superbly nice and decorative...and of course your mum would loved it! Guess what....thanks to Bloom, I got myself a Flowercake too! You can get it online by the way....check out http://www.bloom2u.com/ if you're lazy person to shop for your mother, you can shop the flowers/gift for your mother via their Online Florist Shop, Bloom! Well, since I'm staying away from home....my lovely friend, chow get to keep it! See....my friend here, she looks super happy with it....imagine you giving to your mum! Last but not least, referring to the title of this blogpost...It's a GIVEAWAY yo! Yes, the picture/flowercake below would be something that you'll be expecting in this GIVEAWAY! So how do you get your hands on this Flowercake?! Simple... You just need to CLICK HERE, and comment on the picture itself..Being the greetings to your mother, mother-in-law, God-mother, wife, or any mothers out there... The best greetings would walk away with the beautiful Flowercake! P/S: Winner will be based in Klang Valley as Bloom, would only be able to deliver within Klang Valley...and Winner will be announced on the 9th May 2012! So what are you waiting for peeps?! LuxerWatches is selling authentic brand watches, with some watches offered with a HUGE discount.